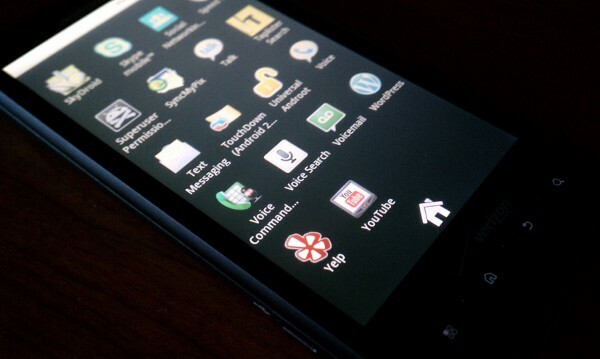 This is essentially the follow-up to our post Friday morning on how you can root your Droid X using Universal Androot with a simple click and reboot. And since we never like to leave you completely hanging, we wanted to cover the other side of the game which would be to “unroot” in case you needed to take your device into Verizon, like being a slave to your phone, etc. (Hah!) So here we go! *Note* – This would be for those of you still running Android 2.1 on your DX. 1. Open up Universal Androot and tap the “Unroot :-(” button. 2. Your phone will work through a series of steps. 3. It will then notify you that it has finished. 4. Reboot your phone for good measure, and you are unrooted! It really is that simple with Universal Androot and you shouldn’t run into any issues along the way. If you do though, make sure to drop them in the comments so we can assist you! Now if only these guys would come out with a working method for 2.2.